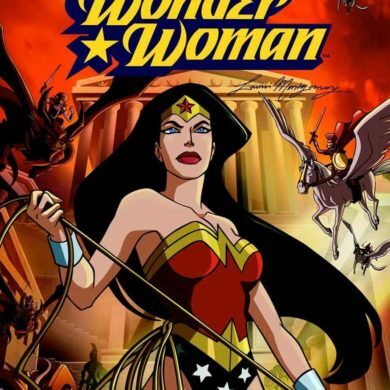 There was something about “Aquaman” that didn’t gel with me. The story is basically a reverse “Black Panther.” A secret world is ruled by a king. An outsider with claims to the throne appears for the first time to challenge the king for the crown. Except in this case, the bad guy is the king and the good guy is the outsider. That outsider is, of course, Arthur (Jason Momoa). However, he can’t defeat King Orm (Patrick Wilson) without the mythical and magical trident that only the true king of the seven seas can wield. If that sounds like a simply story, it’s not. The first act of “Aquaman” is laden with exposition. Arthur’s powers, his training, the stakes, the forging of the trident, the fall of Atlantis, the story of the seven kingdoms – it’s a lot of material to get through. This doesn’t include the story of how Arthur parents (Nicole Kidman & Temuera Morrison) met and fell in love despite being from two different worlds, which was by far the strongest portion of the entire film. 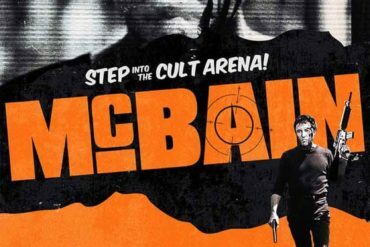 The dynamic was simple and gripping, which is something I can’t say about the rest of the movie. No more is this evident than with the character of Black Manta (Yahya Abdul-Mateen II). The first act of the film puts a lot of effort into making Black Manta a fully formed character with strong motivations. Possibly a little too much effort. 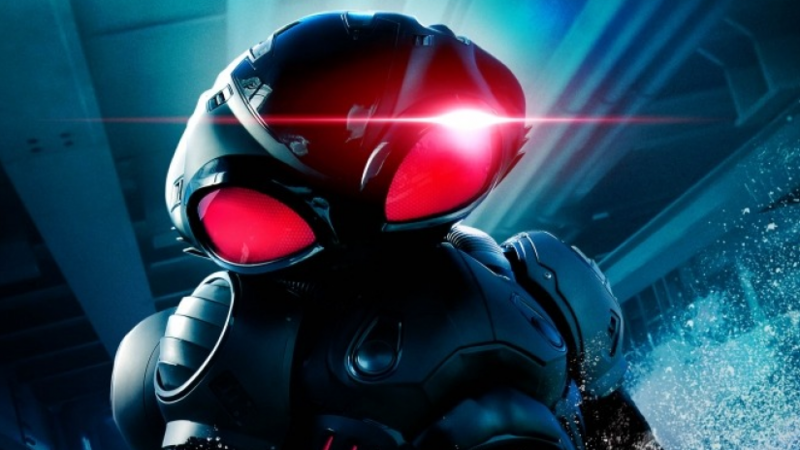 Early in the film there’s a lengthy scene where Black Manta’s father explains the meaning of the nickname “Manta.” Following this, Black Manta and Aquaman have a fight which involved the former stopping every four seconds to fill in the blanks with dialogue. The scene concludes with Aquaman choosing not to save Black Manta’s father from dying. The music while the father dies implies that the audience should feel sorry for Black Manta, despite the fact that both he and the father killed several innocent people in the scene prior (Aquaman even cites this as his reason for not saving the father). Black Manta vows revenge and that revenge comes in the form of a… inconsequential action scene later in the movie that has no real baring on the plot. I guess we have to wait for a sequel for the payoff. In the end, “Aquaman” tries very hard to give you everything you want in a superhero movie. It ratchets up the crazy with every scene. A scene where an octopus is playing the drums is followed by fish people riding gigantic seahorses which is followed by a war involving sea monsters. 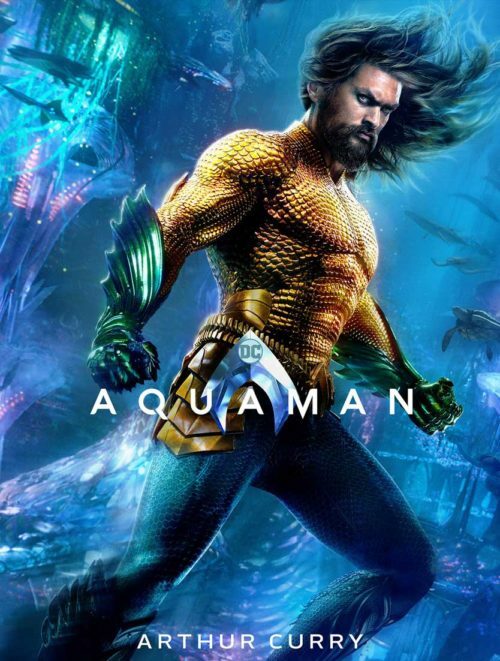 I love when movies go balls to the walls crazy, but I feel like “Aquaman” tried too hard to give the audience everything it wanted. Every time Aquaman does something a loud guitar riff would blare and distract me from enjoying the film, and I think that sums up “Aquaman” pretty well. Because Aquaman is a really cool guy, right? You like this really cool guy, right? Please like this really cool guy!